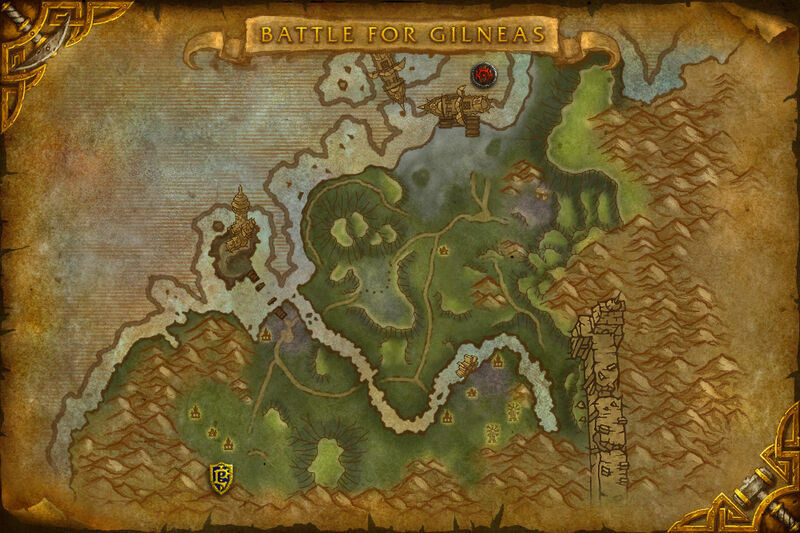 Battle for Gilneas is the other flag capture map, therefore having similarities with Arathi basin. Please read that page for general flag capture tips and fails. The main peculiarity of the map is the graveyard placing. In Arathi you resurrect at the closest graveyard. In Gilneas you resurrect at the second nearest. If you die at the Waterworks (WW), you spawn at Lighthouse (LH) or Mine, even if you own WW. In case you don't have LH or Mine, you spawn at your starting point. If you die at the enemy home base (Mine as Ally or LH as Horde), you spawn at WW if you own it, even if you own they enemy home base. If you don't have WW you spawn at your own home base, or at the starting point if you don't have it. If you die at your own home base (LH as Ally or Mine as Horde), you spawn on your starting point. A tank alone, or with another survival-capable DD goes to Mine. If they encounter enemy coming to our home base, they press on and call "inc few" or "inc zerg". 1 should annoy them enough to make the enemy respawning at the ship (no other points are captured yet) stay at Mine. 2 may even be able to cap it for a time being. A tank or a survival-DD defends LH. Everyone else (7 or 8) go for WW and take it. In case of "inc few" a healer and a DD turns back. In case of "inc zerg", only a healer and 2 DDs keep going to WW, everyone else turns back. After WW is taken, one tank keeps faking Mine, possibly with a stealth-ninja. Call incs, use far seeing abilities to know where they go and win. Due to having only 3 points, the sizes of battles are larger here than in Arathi basin. Still 9-men zergs must be avoided. The other base must never be undefended and the enemy home base must never be without faker. I just read both your guides (today and yesterday), and it reminded me of 2 other guides which might be quite useful as well. 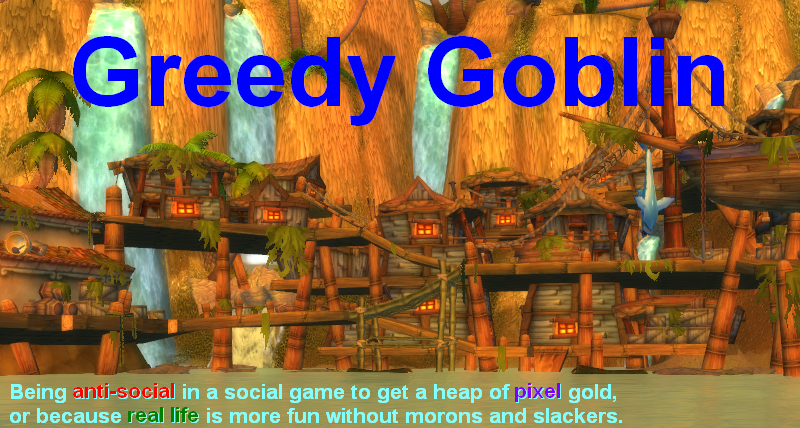 One was written by myself, both on the EU forums, but I thought they would fit the topic well. Not my best guide, but I guess it's okay. I thought they could maybe be useful for your guild as well, or anyone reading this really. In Gilneas though, I personally prefer to send a Rogue to Mines (Alliance PoV), so he/she can ninjacap it. The rest can then go to WW, while leaving someone with a pet at LH to make sure it can't be ninja capped. That way, about 50% of the times the Rogue can just sap/blind the defender and solocap mines, while in the other 50% of the situations, you still have a good shot at WW. I am very happy to see this kind of info being discussed. There just isn't all that much in terms of strats for rated BGs. I can only make a few observations. Some map elements are NOT LoS causing objects. Such as the little shack/stables by the mine. They hide your character but do not create LoS. The other is this map has a number of excellent alternate access points to each node. This makes it very easy to send in a small force to kite people from one side of a base while crushing them with a larger force from the alternate side. The example is you control or have people fighting at the LH and currently control WW. You send a small dupe team (2-3, one tank, preferably the DK) to the Mine attacking on the northwestern side(The beach). The main team is hiding in the small path from the WW south of the Mine. The DK will deathgrip a flag defender and kill or effectively kite the other defenders away from the flag so the main team is able to cap the flag. If the dupe team is able to kill the defender but removes no other defender from the flag proceed to camping the ship to entice the defenders to intervene. Since you control the southern pass no one will be running to WW from that way. Since LH is otherwise engaged you will be able to make sure no one is coming from that direction. Finally the dupe team should be able to see from the beach any Mine attacks via the middle ground to the WW. Perhaps not the best strategy in the world but I thought I'd throw in my two cents. it is very important to have a rogue on your team, and to make sure you are keeping them healed and dispelled. I play a Disc Priest and like to pretned that my Holy Novas and Psyhic Screams are the best way to prevent flag caps. However, all it takes is one Solar Beam from a Boomkin and I'm rendered useless. Having a rogue with fan of knives is the best way to prevent flag caps when you are being hit hard at a base.